State Farm’s response is vague and never directly responds to the clearly stated policy made clear by State Farm’s original cancellation letter. “The May 25th response does not directly address the original question and core issues sufficiently. The May 25th response says coverage for clubs is considered on an individual basis, but it is not clear if the statement of policy in the original letter dated February 27, 2017 is now being rejected by State Farm. Does State Farm have a policy “that denies coverage to businesses engaged with motorcycle clubs”? The MPP will continue to follow and report on any information relating to State Farm’s policies related to motorcycle clubs. 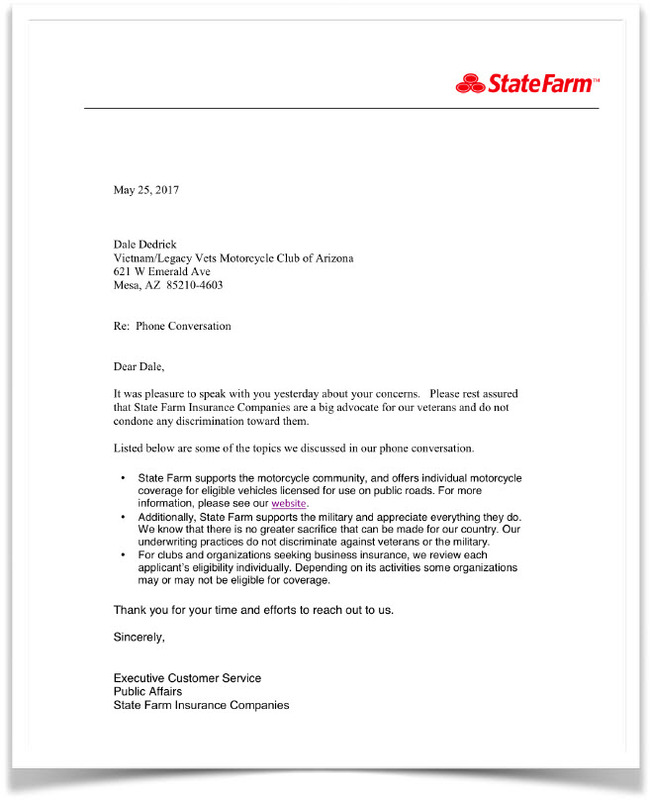 The post State Farm Responds to Outrage After Denying Coverage to Motorcycle Clubs appeared first on Motorcycle Profiling Project. This entry was posted in Motorcycle Profiling Project on June 9, 2017 by Webmaster.